Elite sport demands of athletes that they give the utmost of both body and mind. 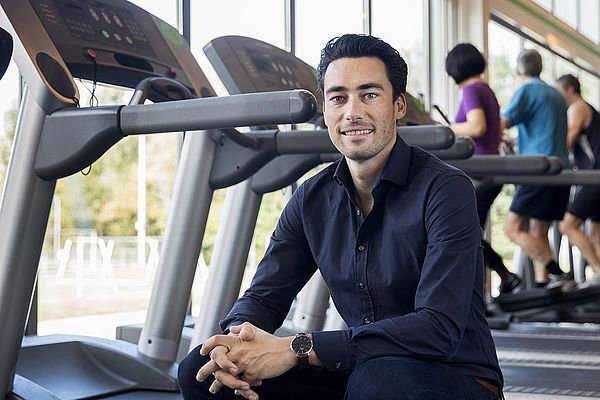 That physical rest is needed after training and competing is generally accepted, but relatively little consideration is given to mental recovery, knows researcher Yannick Balk. He proved that elite athletes—and their coaches—perform better if they relax regularly, and researched how they can best do that. He has his Ph.D. defense today. "You win the Tour de France in bed," 1980 Tour de France winner Joop Zoetemelk once famously remarked to illustrate the necessity of physical recovery in elite sport. But less well known is that to perform optimally, you also need to distance yourself mentally from your sport on a regular basis. "While it is generally accepted that the mental aspect of elite sport can make all the difference," says sports psychologist Yannick Balk, "this doesn't mean that in elite sport a lot of thought is being paid to mental recovery." After a hard day's training, a lot of athletes simply go home and collapse on the sofa. "They are tired and need to recover physically, so that is understandable," says Balk. "But this also gives them plenty of time to worry at length about errors that were made and poor results." And that does not help prepare them to get back to work with renewed enthusiasm the next morning, he points out. "Elite athletes don't have weekends, periods when they leave their work behind them, like most people do. They are athletes 24/7 – which in itself is a danger." And taking a little exercise in the evening to unwind, as people with an office job are advised to do, is not such a good idea for elite athletes. For his doctoral research, Balk, who himself ice skated at a high level until a knee injury ruined his chances at the age of eighteen, followed the Dutch women's water-polo team, short-track cyclists, beach volleyball players, swimmers, and footballers at 'Eredivisie' clubs FC Twente and NAC Breda, among others. With their coaches his contact was particularly intensive. "They have the same problem as their pupils. They work up to sixty hours a week, and this means they are equally exposed to the risk of mental fatigue, which in turns means they are less able to motivate their athletes." Building time to relax into the planning, for both the athletes and the coaches, leads to improved performance; Balk's research brings this to light. "It is really important to do something alongside your sport. Start a part-time study, learn to play an instrument, or do a Spanish course if you like. As long as it provides the necessary distraction. Epke Zonderland even trained as a doctor while pursuing his gymnastics; he himself says he needed it to keep him going in his sporting career." Incidentally, these recommendations also apply, according to Balk, to 'ordinary' employees and students. "I got my Ph.D. for my research with the work and organizational psychologists at Human Performance Management at TU/e and at Radboud University Nijmegen. My main field of study was the extent to which insights from this field also hold true for elite athletes." The similarities are considerable, he says. "And studying is almost an elite sport these days—it is important that students relax too." Everyone should have a few different hobbies to help them break out of their daily routine, the sport psychologist believes. "It turns out social activities do that best. As an elite athlete, you can't go out on the town every night and drink five beers, but the occasional evening seeing a movie with friends should be okay. The relaxation weighs up favorably against going to bed an hour later. But many athletes don't dare deviate from their rhythm."